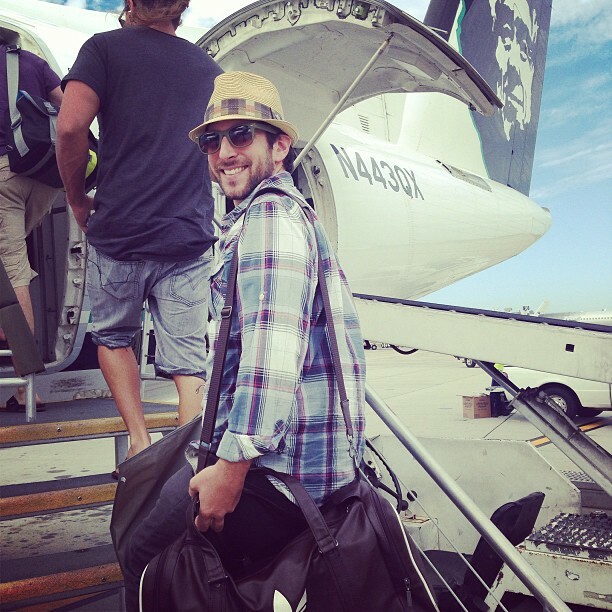 Adam Deutsch lives in San Diego, teaches college composition and writing, and has work recently or forthcoming in Coconut, Thrush, Spinning Jenny, and Jelly Bucket. 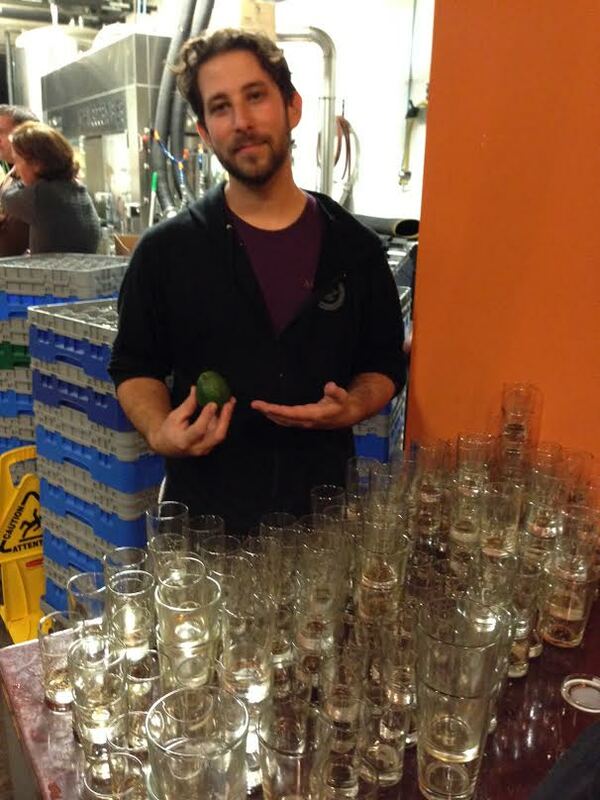 He is the publisher at Cooper Dillon Books and Poet-in-Residence at AleSmith Brewing Company. DAN GUTSTEIN: You’re a man who brews and pours beer, and who writes poetry and publishes the work of other poets. There are, in the beer world, (larger) craft breweries as well as microbreweries, just as there are, in the publishing world, (larger) independent imprints as well as small presses. Some great beers flow from both kinds of brewers, just as some great books arrive from both types of presses. Where do you see Cooper Dillon fitting in, on the spectrum of independent and small presses, and how do you see AleSmith Brewing Company, a brewery where you pour beer, fitting in, when considering the world of craft brewing? ADAM DEUTSCH: I spend a lot of time thinking about the metaphor you’re raising, and also about what I can bring from beer to publishing. I’d point out that there are also nano breweries—these distinctions are determined by the amount of barrels brewed, so it’s a pretty clear distinction. Publishing is much fuzzier. For example, the National Poetry Series does, what, 5 books per year? Cooper Dillon could do that many, but it wouldn’t propel us from nano-press to some other level. It seems a press is defined by a number of things, like context, number of books, budget, distribution, endowments, etc. Like I said, fuzzy. But it does seems that books of poetry are very much like beer in that nobody is making exactly the same thing (you know better than most that there are any number of Stouts out there, similar qualities, but inherently different). If we can recognize that no two books of poetry are identical, I’d say that it creates the opportunity for collaboration and community, rather than competition. I know that that’s how a number of the San Diego breweries see the world, and I’d say Cooper Dillon has other presses that we’d consider complementary to our aesthetic, mission, and context. Across the spectrum of small presses, I’d say that we’re in the nano/micro area, if only because it’s a truly independent endeavor, without ties to any institution or organization, and not answerable to donations or grants. I have learned a number of things from working at AleSmith over the last 2+ years that apply to Cooper Dillon (though, I need to make clear that I’m not speaking for the brewery in any capacity whatsoever). First, AleSmith has been around longer than a lot of much bigger craft breweries, but brews less beer. That is to say, when your focus in quality, that priority trumps quantity, and I think that Cooper Dillon is on that edge. 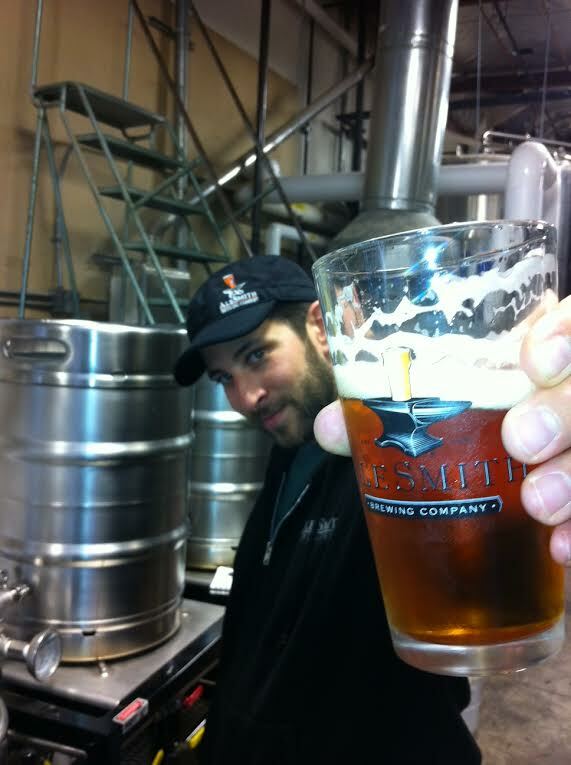 Additionally, AleSmith, for the most part, spreads its good name through word-of-mouth over advertising. Cooper Dillon has experimented by paying for ad space, but I’ve ultimately concluded that it’s a better idea to put the money into the books, showing up at AWP, and treating the authors and customers right. Of course, AleSmith’s beer has pulled in a lot of awards over the years. Cooper Dillon just doesn’t have the resources to buy into the equivalent systems for poetry. I’ve heard horror stories from publishers of presses whose book gets a major award. There are very real financial pressures that come with that kind of success, and I’m happy to let someone else get that attention. Award or not, we’re making poetry that we think is timeless—read it now, or age it for a while on your shelves. And poems do age like beer. Some presses are publishing work that is very timely, and immediate. It has an energy that’s clearly going to dissipate. Other poems are bigger, if you will. They’re complex without being confusing or complicated. We’re trying to make those books. DG: Let’s focus a bit on the relationship between your writing and publishing activities. We all, as writers, probably have a few basic philosophies that guide our choice(s) of content and our style(s) of writing. When we sit down, that is, to write a new piece. When you “sit down” to select a manuscript for publication by Cooper Dillon, do you have a few guiding principles that you could share with us? Are they different from the principles that may guide your own writing? AD: Selecting a manuscript is hard, and a completely different process than what goes into my own writing. That’s not to say I don’t have to try very hard when I write, but I’ve never made a decision in my own work that’s cost me $1,000. I mean, that’s how much I have to love a collection of poems for Cooper Dillon to publish it. It’s a grand love. When I read manuscripts, I’m looking for poems that change me to the point where I get excited in an almost indescribable way. I mean, each book we’ve done has brought me to a new place, both in reading it, and thinking about which conversation it’s adding to, and how it changes my perception of what a poem really is. I wish all of my own writing moved me in the same way, and I think the good stuff, in time, does. I just have to step back from it, so when I see it with fresh eyes, the opportunity for that sensation exists. As it happens, my memory isn’t that great, so I frequently forget my own poems. I will sometimes, literally, rewrite things months apart, and catch them later when I’m moving things around in a more formal process. The joy, on the other hand, comes when I read something I forgot, and I’m pulled into a higher state of mind as a result. I suppose the impulses are similar though, and that’s what helped shape our mission. Just like I want to publish poems with the values that make poems timeless, I also aim to write poems that contain truth, beauty, and sincerity. As a writer, I’m trying to discover something that I hope a reader (starting with another publisher/editor) can become invested in, emotionally, sensationally, and really, financially. DG: I imagine that a writer who also manages a press must participate in a number of communities, local and national. Can you describe your efforts in engaging the various communities which you encounter? AD: Mostly, I’m interested in talking about poems in general, and having a bite and beer with good people. When I’m with people as a writer, it seems like everyone is more relaxed. When I show up and I’m a publisher, it’s a little more business-like. Either I’m getting into the details of distribution or I feel like I’m trying to sell something … and I’m really not a salesman at all. If you come by at AWP, I really just want to put the right book in your hand, and give you a few minutes of quiet to make up your own mind. The poems have to speak much louder than I do, and I want to let them. All that being said, I don’t know if I treat different communities differently. I’m not sure if I have the persona-management skills to draw those kinds of lines consciously. I hope my inclusion in any community is a welcome one. Personally, and, again, I don’t mean to sound pouty about my status as a writer, but the majority of my friends who are writers are out of my league. I know some talented and/or lucky people, I guess. DG: Your humility, Adam, is greatly appreciated in these parts, but I’m sure that your friends are lucky to know you, too. A little while back, I was grateful to receive a copy of the William Matthews book, Ruining the New Road, which Cooper Dillon re-issued. 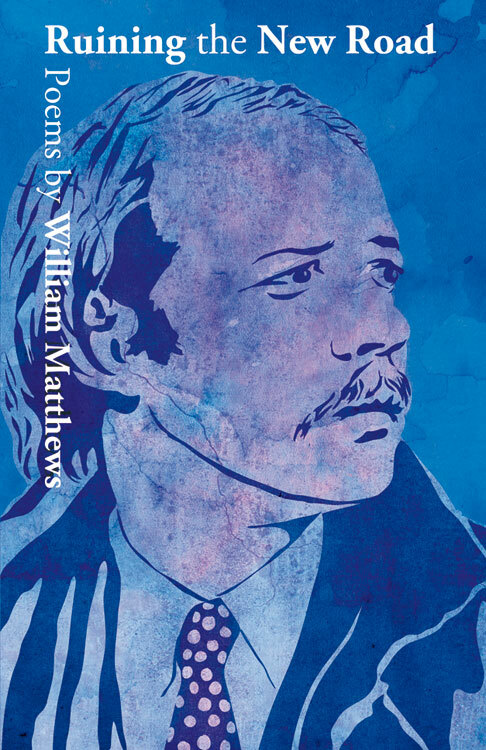 Do you have any plans to re-issue additional works, whether by living writers or, as with the Matthews book, in a posthumous context? AD: I’m glad you liked Ruining the New Road. That’s one of my favorite books of all time, partially because of the youthful courage of the collection as a whole. If anyone has read the 16 poems from it in Search Party (his Selected), I think they’ll be really knocked over by the complexity that comes with seeing those selections in the context of the whole. But, no, I don’t have any formal plans to re-issue anything. I have a few fantasy projects, but haven’t even begun to consider the details as far as selections, rights, estates, and all of that. It just so happens that Nate Pritts introduced me to Matt Hart, and he had a line on Sebastian Matthews, who made the re-issue too easy, really. I suspect that the next project will come along just as naturally, and get produced with the same graceful click. DG: I was just looking at some of your poetry available online, including three poems published in Coconut 17. The form of each could be described very differently, including, collectively, and in disorder: proem, long lines, long, short, somewhat projective, short lines, string of semicolons building toward a final stop; prose poem, paragraph, sentences, list-like, frequent stoppages, all about the flow. How do you feel, as both poet and publisher, about the concept of a poet writing “with range”—a range of forms, idioms, and content? Do you see “range” as vital, necessary, avoidable, hex-worthy? AD: Thanks for taking time with those poems. Years ago, Steve Davenport read though one of my manuscripts and said something like, “You’re showing a lot of range in here. I hate range,” with a smile. It seems that range is a symptom of an emerging writing, right? I mean, at least for myself, I definitely have aesthetic preferences and a certain negotiated contact I’ve made with “the line.” It’s not a defense or statement, as much as I like to think that letting a collection show some range is to let the ideas stretch out. I mean, if we use the metaphor of a collection of poems being some kind of journey, some stretches go smoother than others, and there’s a tension that comes with a stride as it breaks up and stammers to find itself again (as it happens, I’m not a runner, but I see people running all the time, and can only assume something must be in hot pursuit). Whether or not range in a structural sense is necessary or vital depends on the project. I mean, Pretty, Rooster by Clay Matthews is a collection of sonnets—but I’d say that part of its strength is a voice so engaging that I read a good 15 pages of it before I even realized the book was sonnets. The latest chapbook we’ve released is The Primer of Zinnie Lucas by Sara Pennington (coming in early 2014), and that’s a lot of prose blocks, but the tone is compelling, and the consistency helps its weight, which is totally worth carrying. But The Wonderful Yeare and They Speak of Fruit both need range in form to move through their respective arcs. I guess what I’m saying is that it all depends, but with a caveat: I come across more collections of straight up prose poems than I’m interested in seeing. They’re not “hex-worthy,” but I’m interested in seeing what can be done with the line and the real estate of the page. It’s why I put different colored paint and different kinds of lights in different rooms in my house. They’re different spaces with different intentions, and we spend time in each one for different reasons, but it’s one home. I do tend to avoid large areas with erected cubicles, too, so maybe it’s just a personal taste. Meanwhile, I don’t mean to use idioms in my own writing as a device. I think I just come from a family and a place where they’re a natural part of language and communication, so they’re a part of how I speak. And I lot of my poems begin with things I hear myself say. As a publisher, I like to feel like I’m sitting with someone who is saying something I’m really interested in hearing, some kind of truth that I’ve been lucky enough to find. Content is similar, I guess. In grad school, I was given a hard time for not addressing political issues. I wasn’t avoiding them; they just weren’t part of my context. That’s not to say I hadn’t been confronted with race, gender, class, economic, or political issues, but any perspectives gained from experiences with those things weren’t coming through in an obviously political or activist way (though there are definite commentaries on class that run across my work). The poems I write lately are making clearer commentary on issues I’ve become more involved with, but none of us can force poets to write about certain topics just because that’s what we might be interested in reading. As a publisher, I’m interested in having my knowledge challenged, and my awareness raised about something; maybe it’s a product of also being a professor, but there’s something really interesting about learning about the world from a new perspective through a poem. For example, I get to see the life as a mother in some poems in Laura Cherry’s Haunts. And they’re good poems because they give me that and more. It’s about finding the individual layers, welcome among the rest of them. DG: Every so often it turns out that you’re making your own goat cheese, or fashioning a part for a machine, or of course, home-brewing a great beer. What are some of your most recent manufactures? On a related note, have you engaged in any archery of late? I did shoot a couple of arrows recently, but I’m not very good. I’ve been agonizing over having to cook a lobster lately, so my focus hasn’t been on ways to possibly hit bull’s-eyes. All of this and more, coming in poems … eventually. DG: Climate science tells us that the earth is warming, and in fact, the earth does seem warmer than ever. Do you notice a similar trend in manuscripts submitted to Cooper Dillon? That is, are you seeing more of the “warm book” or more of the “cold book”? And by warm and cold, I don’t necessarily mean to endorse one approach over another, but I mean to suggest a book that may appeal to the reader’s emotional sensibilities versus a book that might appeal to the reader’s sense of technical mastery. AD: I’m not sure if I see the split between warm and cold as between emotional appeals and technical mastery. I will say that, in my experience, if a poem only contains technical mastery, it often comes off as “cold.” I feel like those are the works that I read and think “These are very competent.” I don’t know how much this speaks to my own evaluative process. I’d say that resonance means more than the technical aspects. Most of the art that I love has some kind of raw element to it—it’s a ding in the chrome, or the flaw in the wood giving it a sense of authenticity. There’s a manuscript by a writer who is earlier in his/her career—it’s in my system at the time I’m writing this. The lines are really beautiful, and each poem is carrying an incredible amount of energy, but I’m trying to reconcile all of that with a certain lack of structure I’m seeing in the poems. But I’m not just judging it as a lack of craft or technical mastery; rather, I’m trying to read the poems and see if there’s something for me to learn in the juxtaposition I notice. If I take it, you’ll know, but if I don’t, I can assure you that I’ll be encouraging that writer to keep it up and keep in touch with us. DG: What sorts of other arts do you gravitate towards? Are there any artists, musicians, or other creative types who influence your own activities? Are there any spots — music venues, gallery spaces, and so forth — which you frequent, in your neck of the woods? AD: I gravitate toward a few different arts, both as a practitioner and an audience member. Going back a few questions, I consider a number of homesteading-type of projects to be “arts.” I’ve painted, and wished I put more time aside to paint more. At some point in my teens, I studied a lot of music theory and messed around with guitar and bass, but I never wanted to practice. Perhaps that’s what brought me to poetry—you can write and write, but you don’t have to literally write the same exact thing in the way you have to do your scales and arpeggios when you’re a writer. If I took the hours I spend trying new craft beers, artisan cheeses, and standing over my worm compost, and put myself in music venues, independent galleries, and checked out some of the local literary events other than Agitprop, the So Say We All Events, and the stuff at San Diego Writer’s Ink, I’d be a bit more in-tune with the city. Maybe it’s a conscious decision—as a writer, I don’t want to spend all of my time only exposing myself to writing. I make time to read, but I also make time to cook, walk, bike, mess around in my garage or crawl around in my attic. I need the time with turning over the worms in my compost, and talking to them, and looking at where they’re laying eggs and if any grubs are growing where they shouldn’t. DG: What’s on the horizon for Adam Deutsch, the writer? What sorts of publications and projects are fermenting, ripening, soon-to-be appearing? 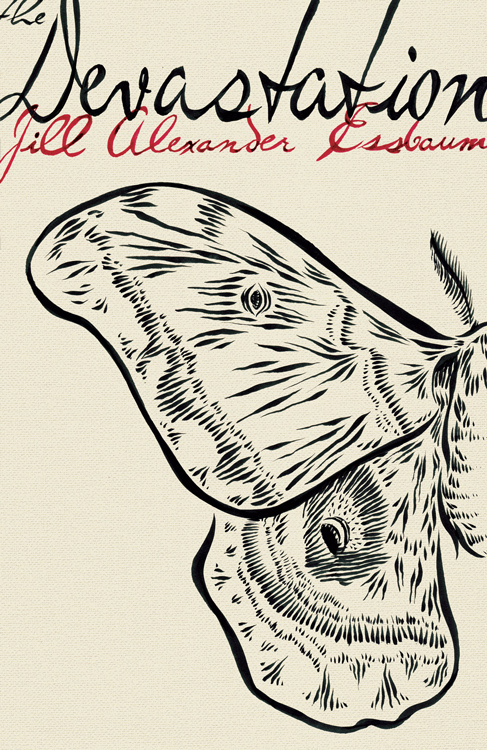 Jill Alexander Essbaum’s Cooper Dillon book, The Devastation. AD: When I send out individual poems, I don’t simultaneously submit, so some poems are at the mercy of slower reading periods than others. I’m sending out a few manuscripts (not too many, as I tend to write slowly), but I purposely don’t enter contests. I have these hang-ups, which shape certain standards I have for who I want to give my money to, and where I’d want my work to reside, and that really narrows the field for me. My ideas on integrity and the publishing business are severely limiting for me, and probably cause me a fair amount of frustration. But I make peace with it. You won’t see my work in the journals that want about a dollar for each poem just to submit; and you won’t see my name on the list of finalists for any contest that wanted $30-$45 to submit. I have poems coming out in Prick of the Spindle, JellyBucket, and SpinningJenny, and it’s been a pretty good year for individual poems. I’d love to tell you I have a book forthcoming, but I can’t. But some of the best beer I’ve ever tasted took years to sit and cellar, and it’s worth waiting sometimes. DG: What’s the most vital piece of advice you’d give to aspiring writers who might be interested in submitting manuscripts to Cooper Dillon? AD: Read some books we’ve published to get a sense of what we’re doing. We’re also interested in being surprised. But I’d also make sure to check out the mission of the press, which specifically calls for more than just “the best poetry books” or something arbitrary like that. We want to read the books that bring us to better places over and over again. The thing I’d like to remind everyone is that Cooper Dillon doesn’t believe in contests, and we don’t run them. Rather, we’re open all year, and only ask for a writer who submits to buy a book or pay a $10 reading fee (modest compared to the vast majority of the contest fees). Your work is not being tossed aside by undergraduate students, or a judge who isn’t invested in the process. The staff reads every single manuscript, and we’ll take what we believe in. Visit the Cooper Dillon web site. Read Adam’s poems at Coconut Magazine. Check out Adam’s poems at THRUSH. Click over to Adam’s poems at InDigest.